Size: 45 x 30 x 4.5 cm. Material: Acacia Wood & 18/10 Stainless Steel. Care: Wipe Clean. 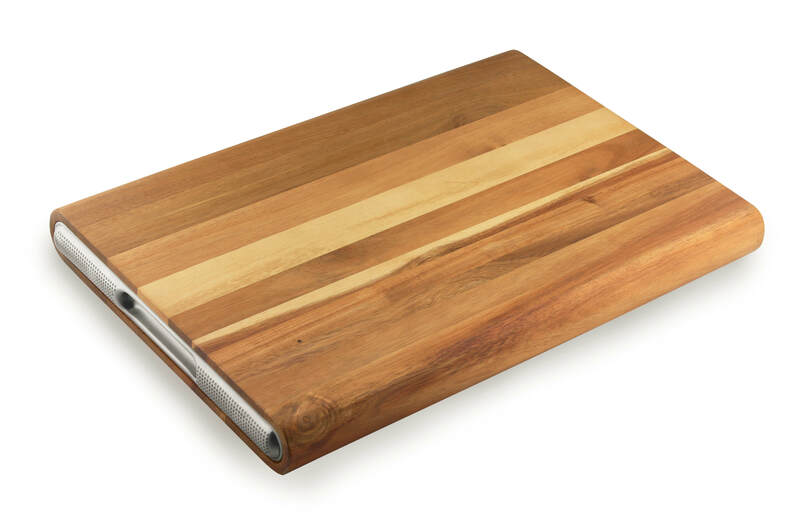 Wooden boards can be oiled to maintain them.